There was more poetry later on Friday but I missed it. Which had a very full, varied & interesting program of poetry, flash, short stories and workshops. 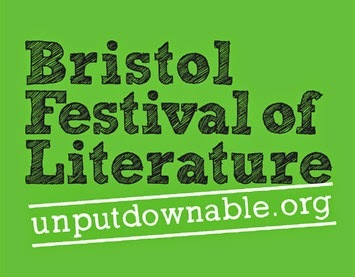 Well done to the organisers for an enjoyable few hours rubbing shoulders with other Bristol writerly types. 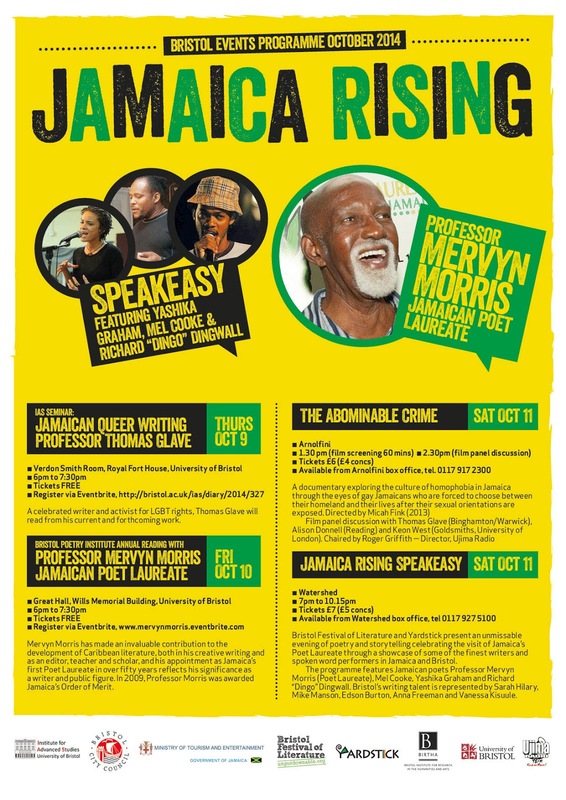 Then Saturday night was the BFL Speakeasy Featuring Jamaican poets Mervyn Morris (Poet Laureate), Mel Cooke, Yashika Graham and Richard “Dingo” Dingwall. Bristol’s writing talent was represented by Milo Chambers, Sarah Hilary, Mike Manson, Anna Freeman and Vanessa Kisuule. Which went really well and gave each of the visiting Jamaican poets a really good slot to showcase their poetry.My favourite performer of the night though was Ann Freeman who eschewed reading from her novel and regaled us with some of her own poetry instead. This was ably hosted by Cavan Scott, Huw Powell and Ian Millstead and we filled the top of the MShed with a host of happy families. Where the kids got to create a crazy comic characrer, learn how to be a space pirate and meet a bunch of comics creators. One of the crazy characters. Great fun was had by all.